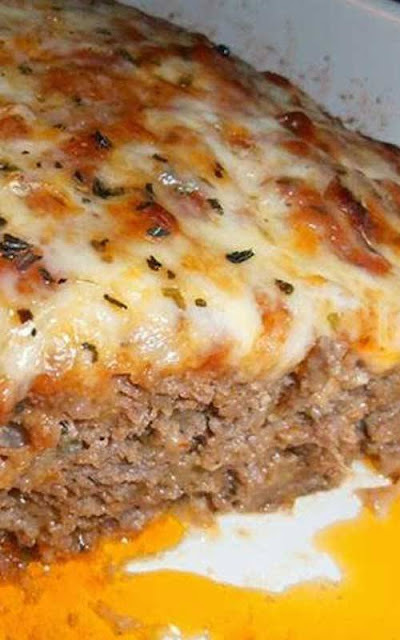 This outstanding Italian Meatloaf recipe is sure to please the entire family, and the leftovers (if you’re lucky enough to have any!) are amazing! In a small skillet, heat the olive oil over med. high heat and sauté the onion and bell pepper for 3-4 minutes, remove from heat. In a large bowl, add the meats, onion and peppers along with all remaining ingredients reserving 3/4 C. mozzarella cheese for topping. Now, dive in there with the best tools God gave you, your hands and combine everything really good. Once it has all come together, place and mold the mixture in a baking dish of your choice. I used my oval Portuguese stoneware for ours. Spoon 1/2 to 3/4 C. of the marinara sauce on top and spread around. Place in a 400 degree oven for 50 minutes. Remove from the oven and top with the remaining cheese and sprinkle a little dry basil over the top. Return to the oven for 10 more minutes. Make sure the meat is not pink before serving, baking time will vary depending on the thickness of your loaf. 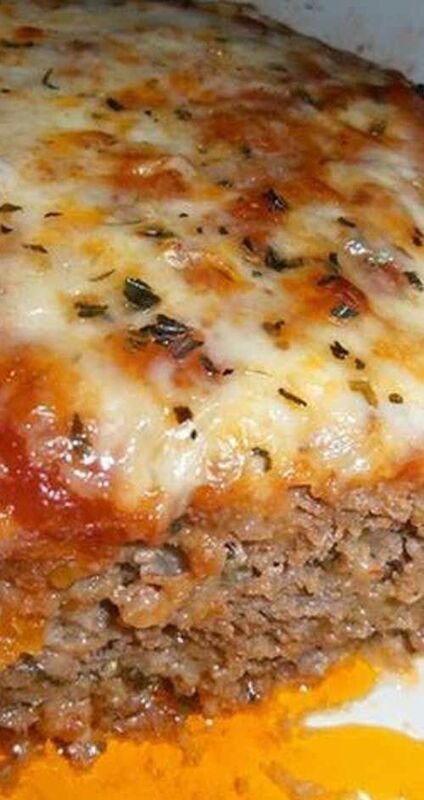 0 Response to "Italian Meatloaf"